The way you buy glasses is about to change. Not only are our glasses all terrific value, but at Specsavers you can get two pairs for one low price. Our famous 2 for 1 glasses offer gives you unbeatable choice and value. 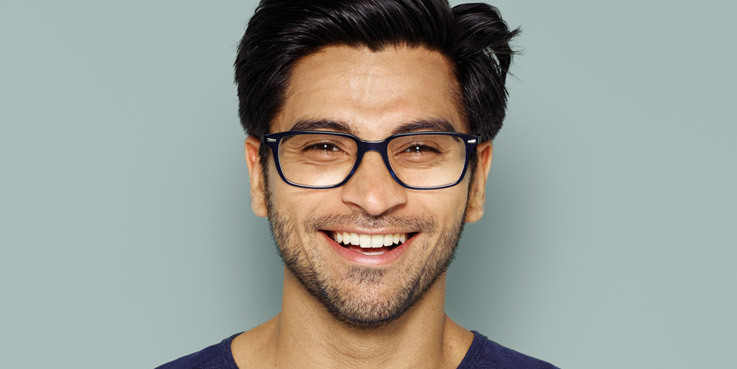 You can choose any two pairs of glasses from our £69 to £169 ranges, and pay for just one, and that includes designer glasses all from just £99. We offer fashionable styles at affordable prices and because we add new styles to our range every three months, you’re sure to find glasses that suit you. And we have enough choice for you build a wardrobe of frames to match any outfit, occasion or mood. So whether you want a pair of glasses for work in an office, or a night on the town, we have a style for you. We have expert frame stylists in every store to ensure you find frames that flatter your face and complement your image. They will take into account your face shape and personal style to determine which frame will work for you and will help you pick the perfect frames, whatever your lifestyle. For £69-£149 you get standard 1.5 single vision lenses included in both pairs. For £169 Fineform and Rimless ranges you get 1.6 single vision lenses included in both pairs. Bifocal and varifocal 2 for 1 deals are also available. Cannot be used with any other offers. Second pair from £69-£169 ranges, to the same price range or below and to the same prescription. £69-£169 ranges: standard 1.5 single vision lenses included in both pairs. Varifocal/bifocal: you pay for the lenses in your first pair only. £169-Fineform and Rimless ranges: standard 1.6 single vision lenses included in both pairs. Varifocal/Bifocal: you pay for the lenses in your first pair only. All lenses scratch resistant. Extra Options available at an additional charge on both pairs. Excludes safety eyewear. £169 Fineform and Rimless ranges include standard 1.6 single‐vision lenses.